On Saturday, March 29, U.S. Olympic gold medalist Ted Ligety will return to the mountain where he learned to ski and race. Ligety will sign autographs and take pictures with the public 10 11 a.m. on the Park City Mountain Resort plaza. He'll also appear at the Valley Fair Mall in Salt Lake City at 3 p.m. Saturday. Ligety won gold in alpine giant slalom last month in Sochi. More recently, he clinched his fifth World Cup giant slalom season title in Lenzerheide, Switzerland, March 15. Calling all girls to Axis Freeskiing's All Girls' Camp at Park City Mountain Resort. The camp is a fun-filled learning environment catering to girls ages 9 and up who are intermediate-and-up skiers. It will focus on terrain park and all-mountain skiing. No terrain park skills are needed. The camp runs March 29 and 30, from 10 a.m. to 3 p.m. The cost is $125 (lift tickets not included). Contact Axis Freeride at 435-655-5366, or email mary@axisfreeride.com . Amy Sharpless, Academy Mortgage Corporation's Senior Loan Officer, will help you get financially fit and avoid health problems that can be associated with financial stress. Join her on April 9, noon to 1 p.m. at the PC MARC, and feel free to bring your lunch. For info, visit www.parkcityrecreation.org or call 435-615-5400. Baseball and softball are kicking into high gear! From Blast Ball through ninth-grade Pony and Thunder divisions, Basin Recreation is offering a wide range of tee-ball, baseball, and softball leagues. Evaluations will be held the week of April 21 at The Fieldhouse. 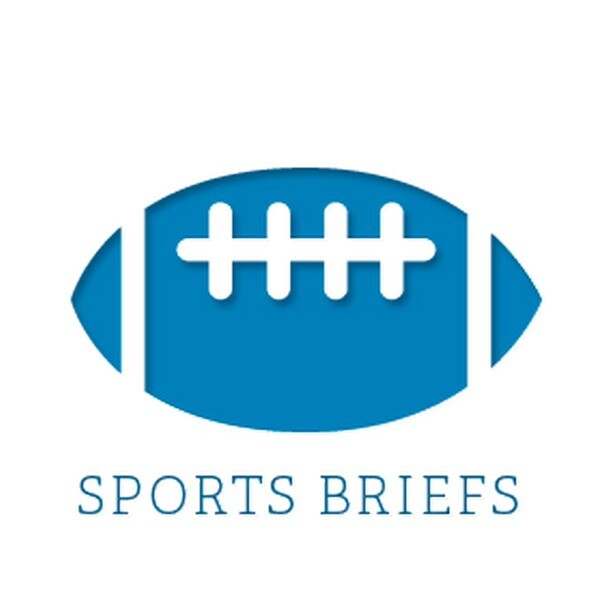 Leagues will run from May through June. Sign up before April 7 to avoid a late fee. To register, visit www.basinrecreation.org or call 435-655-0999. Whether you are preparing for a 5K, training for your first half marathon or Running with Ed, join Basin Recreation as we have fun while we run! A RUN fitness class will be held every Tuesday and Thursday from 9 a.m. to 10 a.m. at The Fieldhouse from April 8 through May 8. Cost for all 10 sessions is $80. Runners must pre-register. To sign up, visit www.basinrecreation.org or call 435-655-0999. Just before we're ready to head back outside, Basin Recreation is offering a Spring Indoor Soccer Academy coached by Park City Soccer Club. Clinics will be held on Tuesdays from April 8 through May 22 at The Fieldhouse. Six- and seven-year-olds will play from 4 to 5 p.m., and eight- and nine-year-olds will play from 5 to 6 p.m. Cost is $60 per player. To register, visit www.basinrecreation.org or call 435-655-0999. This annual publication is now digital and can be found online at www.parkcityrecreation.org. Youth and adult recreation program information is available. Youth summer program registration opens April 1. 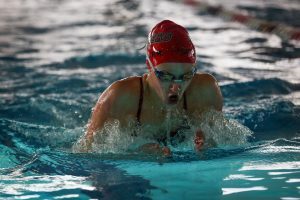 Park City Recreation offers a wide variety of programs including adventure camps, dirt-jump clinics, skateboard camps, soccer programs, summer day camp, swim lessons and summer tennis camps. Adult programs include softball leagues, volleyball leagues, bike clinics and more. The annual Legends of Lacrosse clinic will be held March 29. Come join the pros for a fun and action-packed clinic at the following times: First through sixth grades noon to 1:30 p.m. Seventh through 12th grades 1:45 to 3:15 p.m. Skills clinic 3:30 to 5 p.m. For more information and to register, go to Parkcitylacrosse.org. Join Park City Recreation for a Spring Break Kids Camp April 14-18. Open to children ages 6-12, the camp provides children with a whirlwind week of fun, featuring arts and crafts, games, bouldering and off-site adventures like a visit to the library, swimming and playing in the parks. The camp runs from 9 a.m. to 4 p.m. Monday through Friday at the City Park Building. The cost is $185 for the week and the registration deadline is April 10. The Park City Ice Arena and the Park City Library are teaming up to bring you Story Time and Small & Tall classes under one roof. Class began March 14 and includes a 20-minute story time followed by a 30-minute ice-skating lesson. This program is designed for pre-school aged children and an accompanying adult. Class is 10:30-11:30 a.m. on Fridays. Call the front desk to register at 435-615-5707. This parent/child program prepares children for organized soccer in a fun environment. A variety of skills are taught, including dribbling, kicking, passing, trapping, agility and throw-ins. A parent must be present each week to work one-on-one with their child, ages three to five. The program is on Saturdays from April 26 to May 31, in 45-minute sessions from 9:15 a.m. to 1 p.m. The fee is $65. For info and to register, visit parkcityrecreation.org or call 615-5400. Park City Recreation's next session of Youth Karate at the PC MARC is April 21 to June 2 on Mondays and Wednesdays for Tiny Tigers (ages 4-6) and Ninjas (beginners). Class times are 3:45-4:30 p.m. for Tiny Tigers and 4:30-5:30 p.m. for Ninjas. Children will build confidence, self-discipline and fitness that will have a positive, lasting effect. Register at parkcityrecreation.org or call 435-615-5400. Certified local dog trainer Heather Hampsten will teach Puppy, Basic and Intermediate classes on Tuesdays until April 8 at the City Park Recreation Building. Classes are for adults over 16 and their dogs. Puppy class is at 6 p.m., Basic is at 7 p.m. and Intermediate is at 8 p.m. The fee is $75. For info and registration visit www.parkcityrecreation.org or call 435-615-5400. Grab some friends, family or co-workers ages 18 and up and join the match in this coed soccer league. 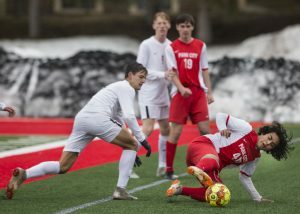 Games are played on artificial turf under the lights at the Park City Sports Complex at Quinn's Junction from 6 to 10 p.m. on Thursdays, April 17 to June 19. There is a $325 fee per team. Register by April 10. For info and registration, visit parkcityrecreation.org or call 615-5400. The Park City Soccer Club is holding its annual Spring Soccer Academy for kids ages 7-10. The academy curriculum is based on fun, dynamic and age-appropriate training sessions to enhance technical skills. The academy is open to all skill levels and is a great way to be active and get ready for spring recreational soccer. It meets on Wednesday and Fridays from Feb. 5 to May 16. Players may choose one or two days per week to participate. The cost is $140 for one day or $275 for two days per week. Players may join at any time and will pay a prorated price after the first two weeks. For more information, please call Matthew Terwillegar at 435-602-9401 or register at www.parkcitysoccer.org. Don't lose your golf swing over the long winter months. Take advantage of the golf simulator at the Basin Recreation Fieldhouse and schedule your one-hour tee time on Tuesday or Thursday from 8 a.m. to 1 p.m. Play a variety of courses throughout the United States, Europe, and Asia and improve your golf game. Cost is $10 per person per hour or $6 for the driving range only. For more information, visit www.basinrecreation.org or call 435-655-0999. State-required youth snowmobile-education courses are available online at ohv.utah.gov. Utah law requires youths ages 8 to 16 to complete a Utah State Parks Off-Highway Vehicle (OHV) Education Course before operating a machine on public lands or trails. Anyone over age 16 without a valid driver's license must also complete the course to legally operate an OHV on public land. Course fees are $30 and, upon successful completion of coursework, students can print temporary certificates and later receive permanent certificates by mail. For more information, visit ohv.utah.gov, call 801-538-7433. All past and present Park City Ski Team athletes, coaches, parents and supporters are invited to attend the 2014 PCST Alumni Reunion on March 29. This all-day event will be held at Park City Mountain Resort. Go to parkcityskiteam.org to register. On Saturday, March 29, U.S. Olympic gold medalist Ted Ligety will return to the mountain where he learned to ski and race. Ligety will sign autographs and take pictures with the public 10 11 a.m. on the Park City Mountain Resort plaza. He’ll also appear at the Valley Fair Mall in Salt Lake City at 3 p.m. Saturday. Ligety won gold in alpine giant slalom last month in Sochi. More recently, he clinched his fifth World Cup giant slalom season title in Lenzerheide, Switzerland, March 15. Calling all girls to Axis Freeskiing’s All Girls’ Camp at Park City Mountain Resort. The camp is a fun-filled learning environment catering to girls ages 9 and up who are intermediate-and-up skiers. It will focus on terrain park and all-mountain skiing. No terrain park skills are needed. The camp runs March 29 and 30, from 10 a.m. to 3 p.m. The cost is $125 (lift tickets not included). Contact Axis Freeride at 435-655-5366, or email mary@axisfreeride.com . Amy Sharpless, Academy Mortgage Corporation’s Senior Loan Officer, will help you get financially fit and avoid health problems that can be associated with financial stress. Join her on April 9, noon to 1 p.m. at the PC MARC, and feel free to bring your lunch. For info, visit http://www.parkcityrecreation.org or call 435-615-5400. Baseball and softball are kicking into high gear! From Blast Ball through ninth-grade Pony and Thunder divisions, Basin Recreation is offering a wide range of tee-ball, baseball, and softball leagues. Evaluations will be held the week of April 21 at The Fieldhouse. Leagues will run from May through June. Sign up before April 7 to avoid a late fee. To register, visit http://www.basinrecreation.org or call 435-655-0999. Whether you are preparing for a 5K, training for your first half marathon or Running with Ed, join Basin Recreation as we have fun while we run! A RUN fitness class will be held every Tuesday and Thursday from 9 a.m. to 10 a.m. at The Fieldhouse from April 8 through May 8. Cost for all 10 sessions is $80. Runners must pre-register. To sign up, visit http://www.basinrecreation.org or call 435-655-0999. Just before we’re ready to head back outside, Basin Recreation is offering a Spring Indoor Soccer Academy coached by Park City Soccer Club. Clinics will be held on Tuesdays from April 8 through May 22 at The Fieldhouse. Six- and seven-year-olds will play from 4 to 5 p.m., and eight- and nine-year-olds will play from 5 to 6 p.m. Cost is $60 per player. To register, visit http://www.basinrecreation.org or call 435-655-0999. This annual publication is now digital and can be found online at http://www.parkcityrecreation.org. Youth and adult recreation program information is available. Youth summer program registration opens April 1. Park City Recreation offers a wide variety of programs including adventure camps, dirt-jump clinics, skateboard camps, soccer programs, summer day camp, swim lessons and summer tennis camps. Adult programs include softball leagues, volleyball leagues, bike clinics and more. Park City Recreation’s next session of Youth Karate at the PC MARC is April 21 to June 2 on Mondays and Wednesdays for Tiny Tigers (ages 4-6) and Ninjas (beginners). Class times are 3:45-4:30 p.m. for Tiny Tigers and 4:30-5:30 p.m. for Ninjas. Children will build confidence, self-discipline and fitness that will have a positive, lasting effect. Register at parkcityrecreation.org or call 435-615-5400. Certified local dog trainer Heather Hampsten will teach Puppy, Basic and Intermediate classes on Tuesdays until April 8 at the City Park Recreation Building. Classes are for adults over 16 and their dogs. Puppy class is at 6 p.m., Basic is at 7 p.m. and Intermediate is at 8 p.m. The fee is $75. 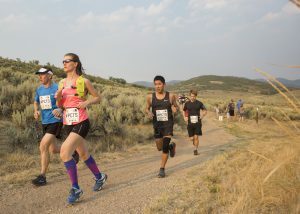 For info and registration visit http://www.parkcityrecreation.org or call 435-615-5400. Grab some friends, family or co-workers ages 18 and up and join the match in this coed soccer league. 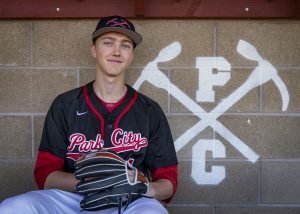 Games are played on artificial turf under the lights at the Park City Sports Complex at Quinn’s Junction from 6 to 10 p.m. on Thursdays, April 17 to June 19. There is a $325 fee per team. Register by April 10. For info and registration, visit parkcityrecreation.org or call 615-5400. The Park City Soccer Club is holding its annual Spring Soccer Academy for kids ages 7-10. The academy curriculum is based on fun, dynamic and age-appropriate training sessions to enhance technical skills. The academy is open to all skill levels and is a great way to be active and get ready for spring recreational soccer. It meets on Wednesday and Fridays from Feb. 5 to May 16. Players may choose one or two days per week to participate. The cost is $140 for one day or $275 for two days per week. Players may join at any time and will pay a prorated price after the first two weeks. For more information, please call Matthew Terwillegar at 435-602-9401 or register at http://www.parkcitysoccer.org.